Debbie Welch has been my realtor for years. She has represented us as both seller and buyer. Aside from her professional knowledge, she has worked hard to find us just the right property at the right price. When we were ready to purchase, she was patient and willing to show us any house we expressed an interest in. Debbie recently negotiated a purchase of a historic property for us and she was extremely helpful in dealing with the historic easements. I wouldn't work with anyone else. "Debbie is a great professional in the field of real estate. She took great care of two first time homebuyers, that had lots of questions. I will highly recommend Debbie to anyone looking for real estate in the Richmond area market. " "Debbie possess the highest integrity, is extremely professional, efficient, detail oriented and personable. Debbie listens to the needs and desires of her clients and asks many questions for clarification and to gain additional insight on specifics. Debbie Welch is not satisfied until her clients are completely satisfied." 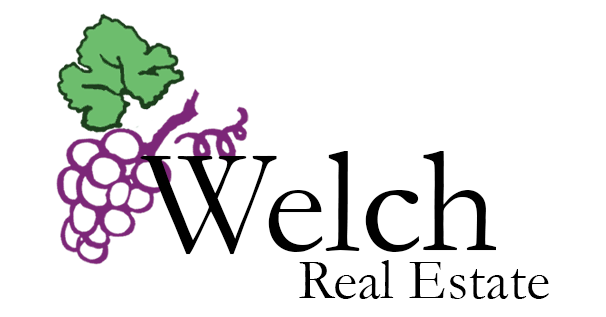 To Whom It May Concern: I have known Debbie Welch as both a neighbor and realty professional for over twelve years. I watched her interactions with both real estate buyers and sellers and observed her property management skill with those clients, who use her services. Debbie is very professional and places her client’s interest first. She provides sound advice and helps her clients understand the economic impact of their decisions, especially when assisting clients making real estate investment decisions. Her property management skills demonstrate her abilities to handle complex and competing demands both of her time and the client’s financial interest. She deals well with individuals under pressure insuring that the contactors, tenants and owners receive the best serve. I have also used Debbie to personal deal with real estate transactions both with the sale and management of a property. These experiences have been rewarding and done in the most professional manner possible. Overall, Debbie possess all the traits of a good manager, sound judgement and the ability to deliver the needed results. Whether dealing with real estate or in any managerial position, I can highly recommend Debbie’s skills and talents as someone who can get the project completed. September 8, 2018, Olivier was a client of Deborah’s "We had a wonderful experience with Debbie. Debbie sold our home in 3 days for full asking price. Prior to the sale, she helped make sure that the house would show well and coordinated with handymen she knew who fixed cosmetic issues in our house. Debbie also helped us buy our new home. She is an expert negotiator and I was happy to have her on our side. Debbie told us that she worked for us, and she really means it. At every step of the process, she was watching for our best interest. She is also very organized and responsive. We were in constant communication for almost two months and I always felt that she was in control of both deals. I cannot recommend Debbie enough. She is a wonderful realtor and she has earned my trust."